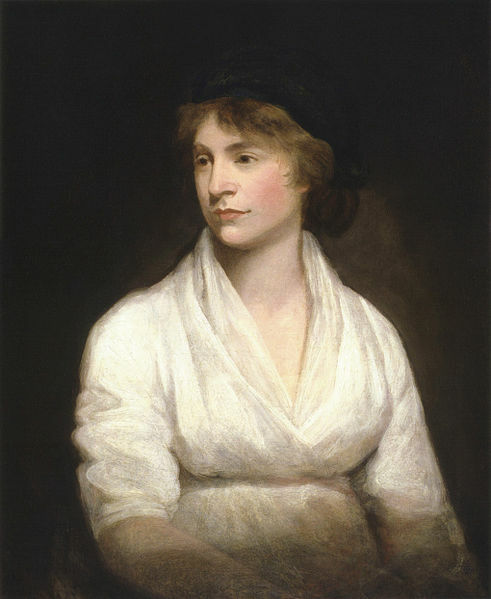 Today marks a sad day as we reach the anniversary of the death of Mary Wollstonecraft, a woman who has long been an inspiration to me and countless others across the years. She is best known today for her 1792 work, A Vindication of the Rights of Woman, but also produced fiction, philosophy and was a tireless advocate of the rights of women. On 30th August 1797, Wollstonecraft gave birth to a second daughter, named Mary. This child would one day become famous in her own right and is better remembered by her married name, Mary Shelley, but her days with her mother were tragically few. At first, the labour seemed to be without incident under the guidance of midwife, Mrs Blenkinsop. However, when hours passed and the placenta remained unexpelled, Mrs Blenkinsop become anxious for her charge and William Godwin, Wollstonecraft's husband, called in a physician named Doctor Poignand. The doctor opted to remove the placenta himself and did so in a procedure that caused his patient agonising pain. The placenta broke up and some remained, though none suspected the sepsis that would kill her. Initially it appeared that the procedure, though painful, was successful and for the briefest time Wollstonecraft rallied but soon it became apparent that an infection had taken hold. Wollstonecraft declined swiftly and fatally, all hope of recovery long since gone and though surgeons were called, by now she was far too weak to undergo any form of procedure. She died of puerperal (or childbed) fever, an all-too common ailment at the time, at twenty to eight on 10th September 1797, leaving her husband bereft. Mary Wollstonecraft was laid to rest at Old St Pancras five days later, her remains later moved to the Shelley tomb in Bournemouth where they have remained ever since. Since her death she has become a literary icon and her name rings down the centuries, alongside that of the daughter she barely knew. I always find it sad when I think that mother and daughter never knew each other. So do I, it was all too common too. So very sad, but your detailed description of her life and death is quite moving. Thank you for sharing her story! Thank you; she is an inspirational character to me! Childbirth must have been an act of courage before modern medical techniques in case of emergency. What a terrible death!